There is certainly no shortage of Australian craft breweries. Head in general direction of Sydney’s Inner West and you will stumble across a myriad of offerings. Most are good, few have something truly special to offer. Wildflower belongs to the latter category. Incepted by American expat and head brewer Topher Boehm and Australian brother in law Chris Allen, Wildflower’s approach is certainly idiosyncratic as they perceive themselves to be a blender rather than a brewery, with barrels being the vessels they channel and more importantly age their alchemy in, using natural wildly foraged yeast variations as their main agent for fermentation and sourcing the beer from their partners in crime Batch Brewing, the operations of which we have featured in a previous instalment. In that sense, i.e. by paying homage to Australia’s fauna and flora, “Wildflower” is a telling name indeed and beer provided only the stage for yeast to unfold its distinct nuances. 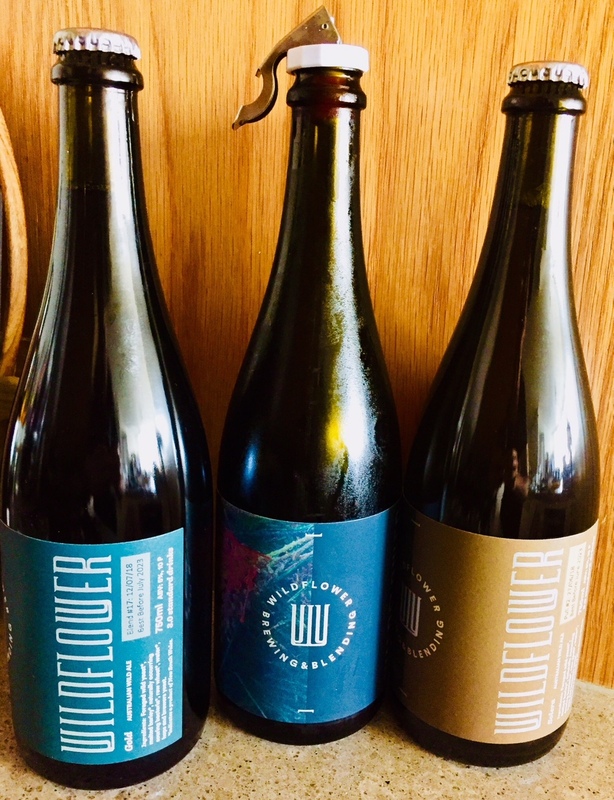 What I love about Wildflower’s emissions is the Belgian influence along with the complex calibration that informs the genesis of their excellence Wild Ale expressions. Wildflower’s portfolio is comprised of three variants, i.e. a gold, an amber and a table beer along with the occasional seasonal expression. Needless to say, that with the unconventional way Wildflower produces its beers, it is limited in nature and nearly always sold out. Taste-wise Wildflower’s hazily straw coloured Gold is an exercise par excellence is crisp tartness, while its darker brother, the Amber expression with its thick creamy head, is subtly funky in the best way imaginable, hints of cherry and cranberries, and with its enhanced yet nuanced spiciness due to bacterial cultures used is the near ideal companion for an Islay whisky. In some respects, and in the best ways possible, i.e. in that it is a great accompaniment to food, I find Wildflower reminiscent of Two Metre Tall, a Tasmanian brewery I came across at last year’s Dark Mofo festival and one that we shall feature in a separate instalment.